industry recognition, or Designers will get their money back. Subscribe to connect with independent retail buyers! Urban Fashion Network started in 1997 as a social network for fashion industry professionals. The site breaths with new life as a tool to help apparel and accessory creators connect with retail boutiques across the continental United States. These independent retailers vary in size, scope and experience in the retail services. Many are online start-ups, while established brick and mortar businesses are also included. Fashion Designers are able to view retail prospects in various US cities from a geographical perspective using geo-mapping technology. Contact, connect and collaborate with retailers at your discretion. With your paid support and social input, entry updates are continuously made to improve this resource. 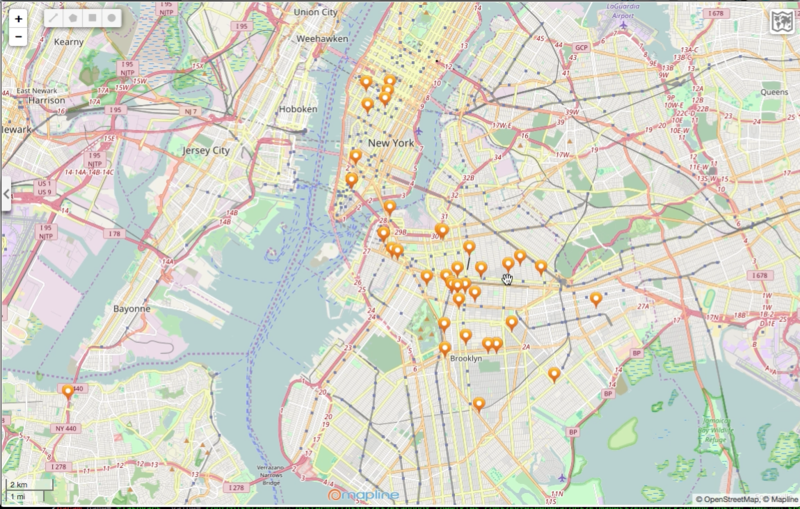 Starting from a birds-eye view, the map displays pin locators that offer an overview of prospects in an urban area. Users may visit each prospect by clicking the locator to learn more information. The information tab will display. Click the website address to visit the online store. Drag-n-Drop the “Yellow Man On The Street” icon to see the street view. Some retailers have interior photos available for viewing inside the store to peek at merchandise. Remote viewing of apparel retailers helps Fashion Design start-ups to qualify leads cost effectively; and timely without the expense of travel.